Special clincal interest in skin and prostate cancer, Volumetric Modulated Arc Therapy, stereotactic radiotherapy, brachytherapy. Director of Radiation Oncology at the St Vincent’s Clinic and St Vincent’s General Hospital, Darlinghurst. In addition to treating patients at Genesis CancerCare St Vincent’s, Prof Fogarty is also on staff at the Mater Hospital, Melanoma Institute of Australia and the Skin & Cancer Foundation Australia in Sydney. He has spearheaded the use of Intensity Modulated Radiotherapy, a modern radiotherapy technique, in those departments. The Mater Sydney is the nation leader in Volumetric Modulated Arc Therapy, an even more conformal means of delivering external beam radiotherapy more safely, rapidly and economically. He has also has an interest in prostate cancer and brachytherapy and stereotactic body radiotherapy. He trained at Peter MacCallum Cancer Institute, Australia’s largest cancer centre. He is a recognised authority in the radiation treatment of skin cancer, with a PhD in modern radiation treatments of skin cancer. He has over 60 publications. He has NHMRC funding to over $3 million for an ongoing randomised trials of radiation in melanoma. 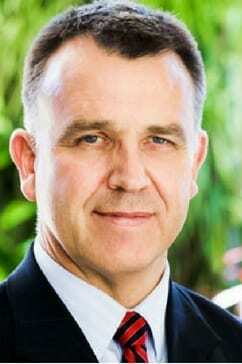 He is also currently the Master of Warrane College, a university residence at University of NSW, Sydney.